Working in the hospital for a straight 8-hour shift can already burn you hundreds of calories and fats. However, if you’re not fit enough, walking and running around to attend to your patients’ needs can be very difficult. Planking is one of the best exercises that can target your core muscles. Planking looks easy to do but once you get into the form, you’ll realize how much strength and endurance you’ll need to maintain it that way. This exercise specifically targets your core muscles, glutes and hamstring muscles. 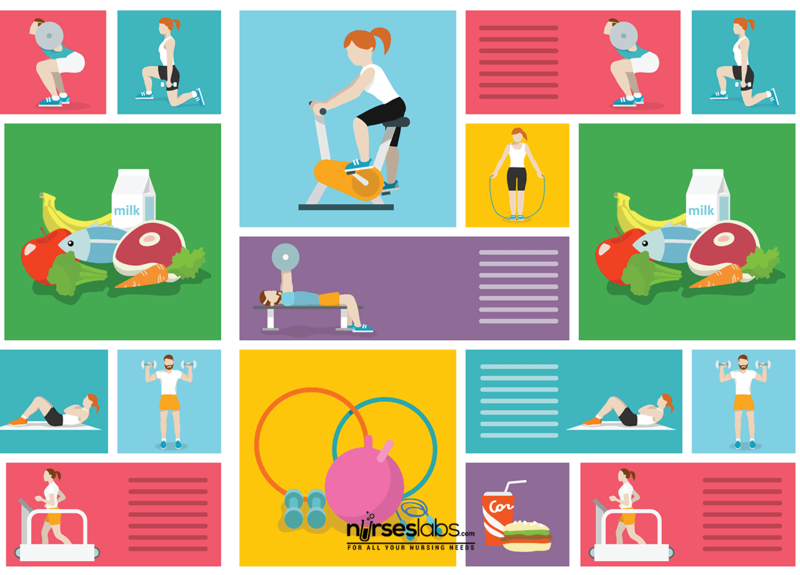 As a result, you’ll get improved posture, better balance and enhanced overall fitness- exactly the things you need to keep up with the physical demands of nursing. Start with a pushup position and slowly lower yourself on your forearms. Your fists and forearms should be flat on the ground. Make sure to keep your back straight and to engage your core while in the position. Hold the position for a couple of seconds. Squats can strengthen your lower extremities. Doing squats can help you prevent hip and knee injuries while lifting and assisting patients. It works specifically to improve the strength of your hamstrings and calves. It can even make you more flexible. Assume a standing position with your feet wide apart. Make sure your feet are wider than the distance between your shoulders. Keep your toes pointing outwards. Lower your body in a squat position while keeping your muscles tight. Maintain a straight back while doing the exercise. Slowly push yourself back to a standing position. Lunges can help improve your balance. Lunges are classified as unilateral exercises which mean that it trains one part of your body, separately from the other parts. Because it requires conditioning one side at a time, it can improve your balance, stability and coordination. Assume a standing position and keep your feet under your hips. Move one foot forward while making sure that the posterior leg and knee are almost facing the floor. Tighten your abdominal muscles as you transition from a standing to a lunge position. Return to the initial position and repeat for the other leg. Hamstring curls are very versatile. You can do it standing, seated or even lying. Hamstring curls are good to perform if you want to strengthen your lower legs and backside. Doing this daily can improve your speed and resistance for that fast-paced 8-hour shift. Assume a standing position with your feet adequately spaced. Life one of your feet towards your rear and hold it for a couple of seconds. Tighten your muscles as you hold the position. Do the same steps for the other leg. 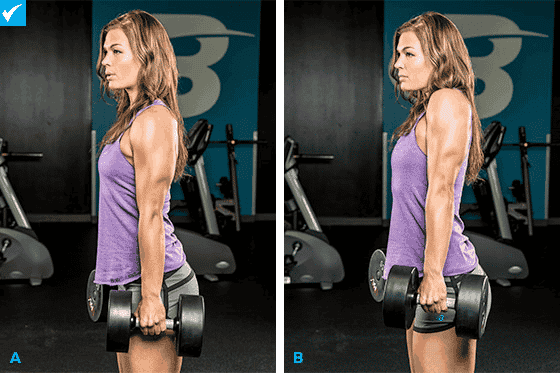 You can do the shoulder shrug with or without dumbbells. Because upper body strength is essential for safely lifting patients up, it’s important for nurses to be in the right shape. To prevent muscle strain, doing shoulder shrugs can help improve the tone and strength of your shoulder muscles. It’s also a good exercise to release the tension on your back, particularly after a long day at work. Assume a standing position with your hands on your sides. Lift your shoulders as high as possible and hold for a few seconds. Slowly release the tension and lower your shoulders without bending your elbows. What simple exercises do you do every day?